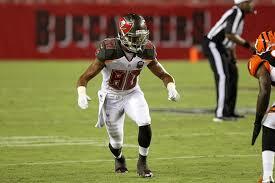 Kenny Bell worked out for a few teams, the Jags, the Chiefs, and the Cleveland Browns, however, remained unsigned. Recently the Ravens brought him for a tryout, and ultimately signed him to their practice squad. Bell who was a fifth-round draft pick for the Bucs in 2015, he showed much promise before sustaining an injury. After sitting all of 2015 with a hamstring injury, he came back ready to play only to out to be a huge disappointment. Bell was waived at the end of the preseason with an injury settlement. Bucs and Jags will have joint practices. Teddy Bridgewater injured in practice.